Pictured Melissa Gentz who was allegedly assaulted at the hands of her ex socialite Brazilian millionaire boyfriend. 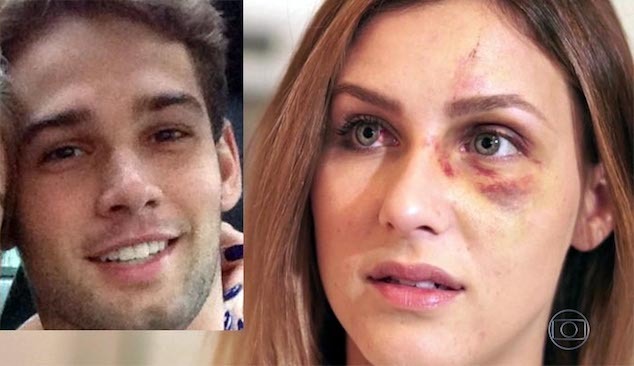 A millionaire Brazilian boyfriend is arrested after assaulting his University of Southern Florida girlfriend and Instagram star, Melissa Gentz. 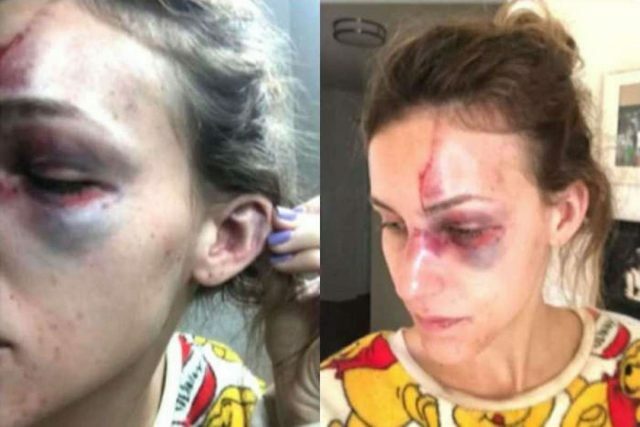 A University of Southern Florida student has shared photos after allegedly beaten by her millionaire Brazilian socialite boyfriend upon the man becoming enraged with the woman posting sultry images on social media. In her post which went viral in her native Brazil homeland, Melissa Gentz accused Erick Bretz of beating and kicking her and throwing her around his condo following her showing some cleavage in a recent Instagram photo. According to an arrest report, Gentz, 22 pushed her partner when he became verbally abusive during the early hours of morning September 23. Bretz in turn got violent back, eventually leading to his arrest. 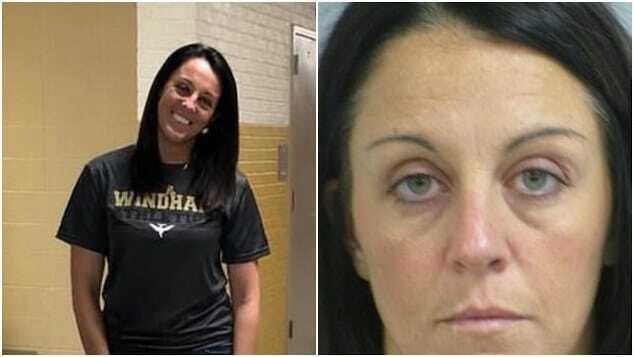 The incident happened at 4.11am and the report from law enforcement states the accused became ‘argumentative and jealous’ after taking medication for insomnia and then drinking approximately four beers and three quarters of a bottle of wine. Pictured Melissa Gentz and her Brazilian ex socialite boyfriend, Erick Bretz. The Tampa Bay Times reported Gentz who has over 218K Instagram followers– trying to punch her socialite boyfriend only to be thrown to the floor, kicked in the face, with Bretz cutting off her air supply upon wrapping his legs around her throat. 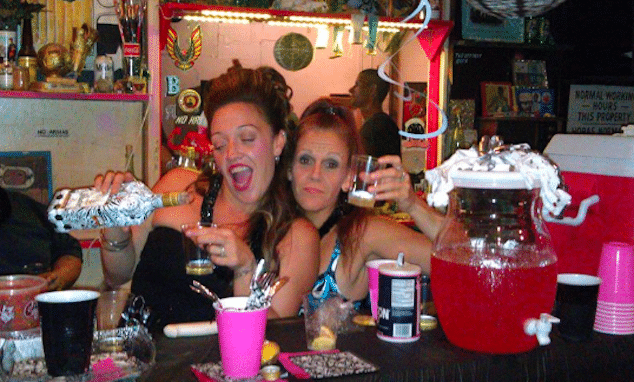 Gentz in her claims also accused Bretz of striking her with a bottle before managing to escape to the bathroom. 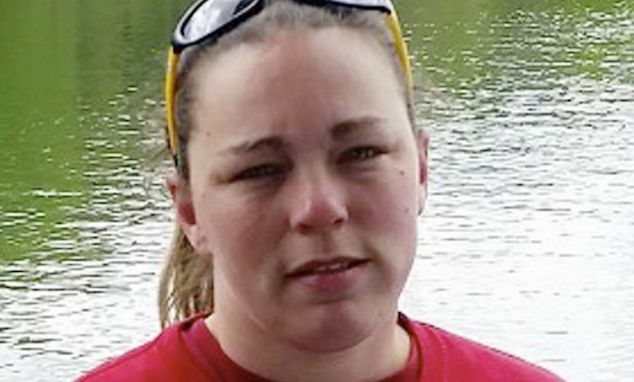 The woman claims only surviving the assault after a building doorman dialed 911. 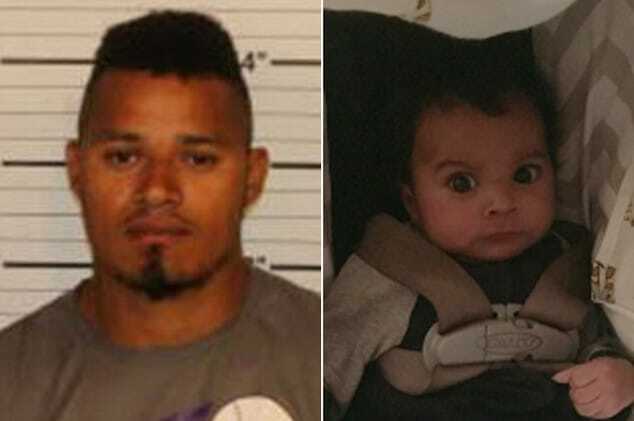 The boyfriend was arrested while asleep after Gentz returned with law enforcement after going to hospital. At the time of the man’s arrest, the former ‘it’ couple had been dating for less than three months. In her post, Gentz told of her ex-boyfriend deleting a post of her revealing cleavage without his consent, after the man claimed women with boyfriends could not have pictures ‘showing their breasts’. Captioned Gentz in one assault photo, ‘I am asking ALL Women to have the strength and courage to end abusive relationships like my last one was’. ‘It all started with complaints about my Instagram photos, then about comments on the photos…to text messages that I received on my phone… There came the day in which he grabbed me by my hair and told me that I had to accept my reality because I was the woman in the relationship. Brazilian media, O’Tempo reported Bretz being the son of one of Brazil’s biggest supermarket chain owners. He has also been on the Motocross Championship circuit since he was 15 years old. He denied the charges of domestic battery strangulation and tampering with a witness from Hillsborough Sheriff’s Office and was released from county jail two days later on September 25 after paying a $60,000 bond. Gentz – who studied Cells Biology and General Genetics in Florida and has been working at the University of Southern Florida’s Health Byrd Alzheimer’s Institute since June – claimed in Hillsborough County Circuit Court documents that Bretz’s ‘is a multi-millionaire and has resources to harm others’. The former boyfriend agreed to a restraining order which won’t allow him near Gentz and bans him from the university’s campus. She and Bretz both hail from Belo Horizante, a city of 2.5 million people in the state of Minas Gerais. Brazil’s Ministry of Foreign Affairs is believed to be now monitoring the case. Sabe como temos um lado do nosso rosto que geralmente gostamos mais? Eu gosto do meu lado esquerdo, infelizmente o lado que foi mais marcado pela violência. Hoje foi o primeiro dia que resolvi passar rímel e blush no lado direito do meu rosto. Não vou esconder as marcas da minha história porque NENHUMA mulher precisa ter vergonha ou se sentir culpada por ter sido violentada. ??? You know how we usually have a side of our face that we prefer more than the other? I like my left side. Unfortunately, it’s the side that was severely bruised by violence. Today was the first day in which I felt like passing some mascara and blush on the right side of my face… I won’t hide the marks of my story because NO woman should feel ashamed of feel blamed for being a victim of domestic violence. ????? ????????? ???? ?? ?????? ????? ????’?? ??? ??????????? ??‍♀️??✨?? ?